Is Bathroom remodeling a pain? Maybe too many of us are “the glass is half-empty” types; in any case, there is a lot of information out there on how difficult it is to deal with a bath or kitchen remodel; DIY or hiring professionals, both have their pitfalls. Start a folder of pictures you like. Before you shop, spend time looking through home magazines or websites like Houzz.com. Tear or print out the pictures of the bathrooms you love. Soon, you will have a style you always gravitate to. Go with it. This is an excellent tool to help your sales person know what you like and guide you to products in your style and budget. Have a starting point. Is there one thing that you have found that yu love? Maybe a bronze decorative wall tile, or a really sleek stainless steel faucet, or even a cobalt blue glass vessel bowl. Find the thing that makes you say “ooooo-aaah”. That will be your starting point. Begin your faucet selections with the lavatory. 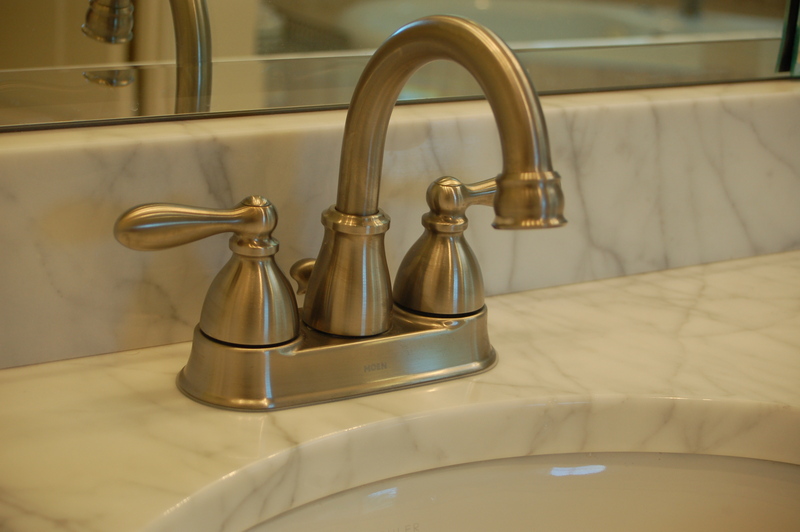 Whether you are using an undermount lavatory bowl, a vessel or bowl with existing faucet holes, you will want to begin your faucet selection with the right lavatory faucets for your bow. By focusing on the lav faucet, you have narrowed the project down to one item. 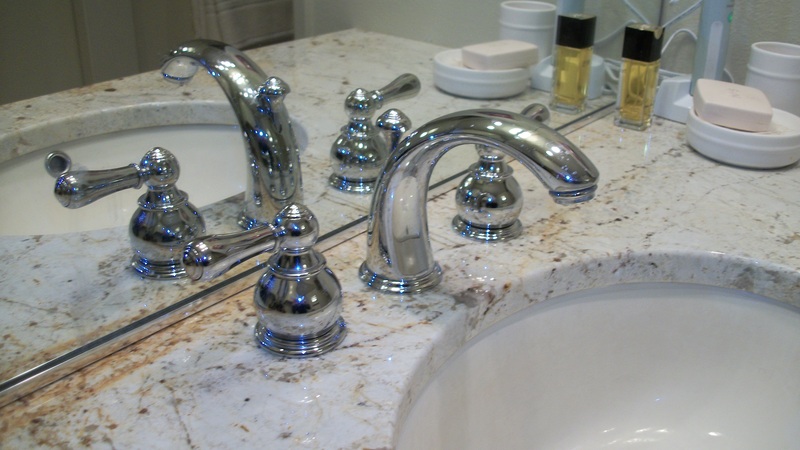 Your faucet will have a set of matching tub and shower faucets as well as accessories. Simple, no? By following these three steps, you can turn a potentially stressful and confusing process into a much simpler one! In this case, simpler is more fun. Bathroom design – it’s fairly easy to know what you want in your bathroom, but figuring out how to fit it in there without moving a wall or window, or if you have budget restraints, without moving the plumbing outlets – these are the problems that require creativity and some skills. Kohler has a neat little article that covers these issues; the title is Design & Create: Plan Bathroom, or Found Space, 8 Tips for Small Bathrooms. Discover bathroom products made for small spaces. “In order to stand comfortably in your bathroom, do you need one foot in the tub? Upgrade to a more compact, efficient modern toilet. Use light, natural color tones for an open, airy feel. 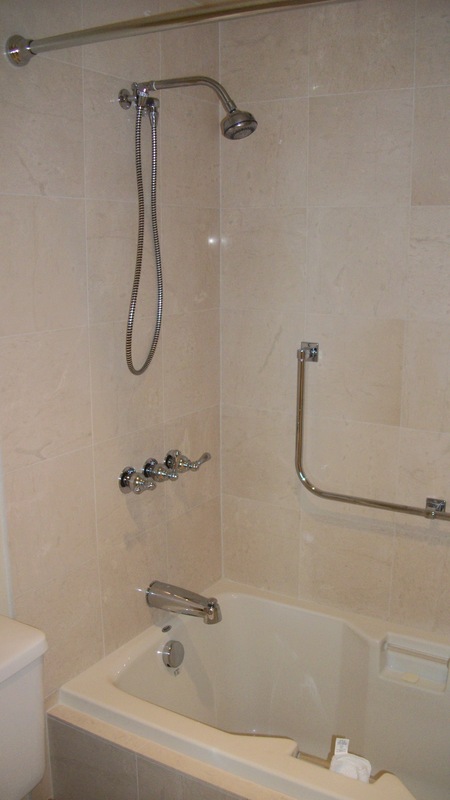 Select a bath tub with a lower floor and sides to give the illusion of more space. 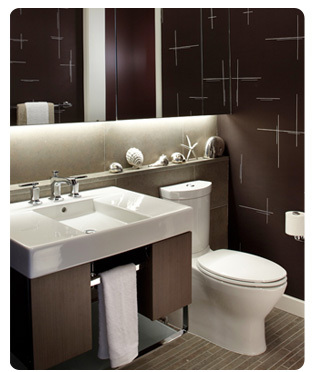 Downsize the vanity – such as a pedestal or wall mounted sink, or a petite vanity. Use niche shelving and a mirrored medicine cabinet to remove bulky furniture. Install corner shelves to make use of available space. Thats it. Go to Kohler, using the link, to read the info. What is important in designing a powder room? Kohler has an article on their website titled “Designing the Perfect Powder Room.” It very comprehensively lays out what should be considered when re-modeling or designing a new powder room. A typical half-bath is usually the smallest room in the house, maybe 4 feet by 5 feet and yet may get the most traffic. If it’s been awhile since you’ve remodeled your powder room, you might want to check out some of the more popular design trends, as noted by Seattle designer Pat Bermudez and Kohler Store marketing manager Lynn Schrage. Color: Deep dramatic colors are great for this little room, adding a dramatic impact from the hallway. Faucets: The faucet can really help solidify the room style. Be sure to pick the right finish to blend with the rooms overall design. Sinks: Vessel-type sinks are very popular right now, and they come in a variety of styles and materials to complement any design period. Toilets: Consider one-piece toilets, and those that have sound modulation for a very quiet flush. Flooring: Hardwood floors are popular now, as are granite and marble, which offer an upscale look. Including radiant heating in your floor is a nice touch! Finishing touches: Crown molding (3-5 inches) and up to 8 inch base boarding are popular. Counter-intelligence: Consider using bright or reflective materials such as granite or quartz. Quartz is a manmade material that is always glossy and shiny; it requires little care. Recycled glass is a green alternative providing similar qualities. Live large: Maximize space by using a pedestal or well-mounted sink; for storage consider a petite vanity. A well-placed mirror will make any room look larger. Keep it clean: Keeping the room architecturally clean and avoiding over-decorating or inundating the room with personal objects. Remember, go to Kohler to review the fixtures that will suit your powder room best, and while there, read the full article on designing the perfect powder room. What can you do with a tiny bathroom? I am always looking for ways to make a small (or even tiny) bathroom look good, and work! A small bath, no matter how small, still needs a place to put a few towels, a toothbrush, hair brushes, maybe a few band aids? Some are unbelievably small, but there really are solutions to all the above, plus they can look good, and still leave you room to turn around in! 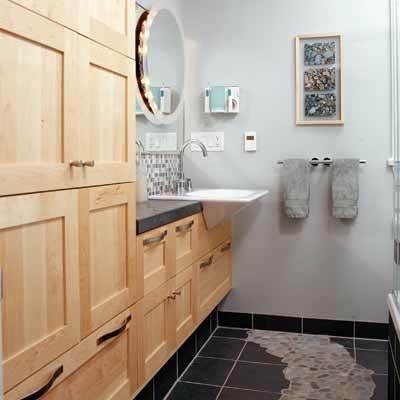 This Old House has some excellent ideas, plus plans you can take to your contractor. Older homes can have problems that are hidden behind the walls and flooring – places where maybe there was some leakage that caused water damage in the past and was just covered up. Now when you go to replace that shower or flooring you discover it. What to do? Call a reliable contractor; they know what needs to be done to repair any damage discovered during the demolition phase and will install the fixtures, walls and flooring, all to code, and make it look great! This is my favorite small bath, and the shallow cabinets are a creative solution to the need for storage space. Who says cabinets need to be a standard depth? These are beautiful and will store a great many items and look wonderful doing it! And check out the flooring – I love the curved path that looks like small river rocks. This is a fun bathroom. What are the most frequently remodeled rooms in homes? 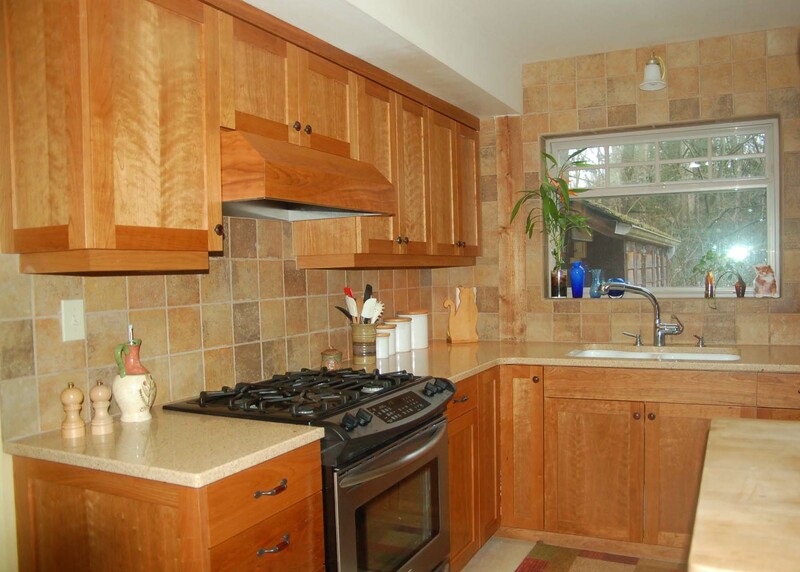 Solid surface countertops and custom cabinets! They review all the rooms in the house, so reading the article is very beneficial. NAHB is dedicated to educating the public and contractors on good business practises and how to ensure your remodel project is done well. Warm tile colors run up some of the walls to give this bathroom a warm feeling. Simple, clean fixtures and patterns make this room work. This small bathroom had a make over that includes vertically installed subway tiles and pedestal sink along with wall mounted lav faucet. There is no crowded feeling in this bathroom! 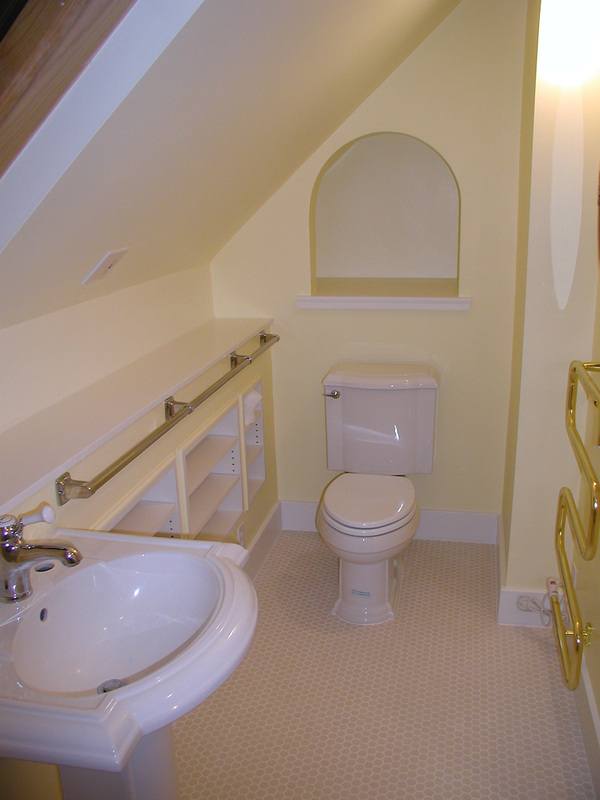 This bathroom uses compact, efficient fixtures (pedestal lav and compact toilet) to best use the small room. Lots of wall mirrors create a visually larger space. This next one is my favorite – I love the warm colors and textures of the tile. Choose colors carefully, because colours can significantly change the look of the room. The design of your bathroom depends on the nuances you prefer. If you wish to design a luxurious small bathroom, you should consider tile color. Light colours and bright nuances give the sense of a larger room. The reflection of light from bright tiles give the room perspective. One of the biggest problems in small bathroom remodeling can be meeting the minimum space requirements in front of fixtures, this is an important consideration not only to meet building permit regulations, but also to make sure that the small bathroom you are creating will be comfortable to use for all sizes of people.